Organization and homeschool tips with a side of homeschool and other book reviews and the occasional writing article. Have organization or homeschool questions? Leave me a note and I'll address them in a future blog post. What is in an e-Book? It's here!! It's here!! 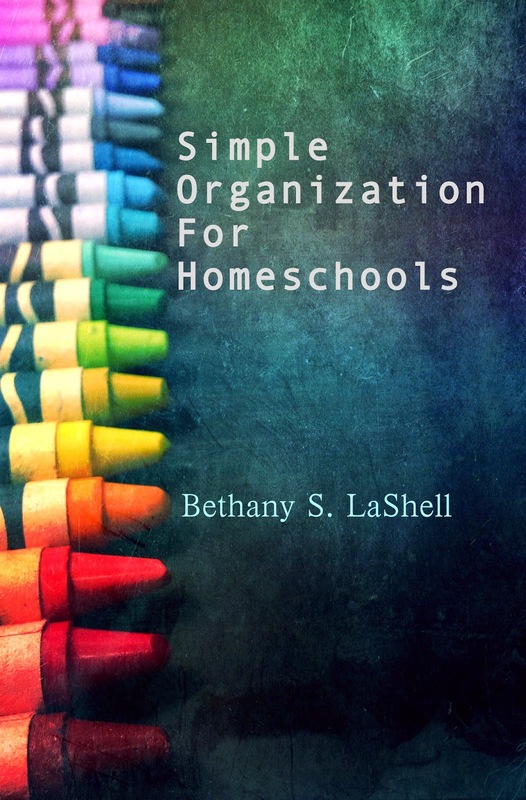 Simple Organization for Homeschools is finally done and available to order! If you want a paperback in your hand, head on over to Create Space. If you'd rather have an ebook version, click your way to Amazon (actually, wait a few days for it to jump through the right hoops). Then pretty please leave good reviews, too, so others will buy it. Simple Organization for Homeschools is completely geared towards homeschooling families since many books on home organization already exist. Examples, forms, resources, and practical suggestions make this a must-have reference book for all homeschoolers. This book guides Christian homeschool parents in completely organizing their homeschools. Organization brings peace, balance, and the ability for true academic learning to a homeschool. Biblical encouragement for order in our homes is included along the way. In addition, each chapter or section is tied together with a unifying, biblical theme. The first part of organizing a homeschool is choosing a style and curricula that not only fit your family’s lifestyle, but that also fit each child. Then you need to learn how to schedule and use your time effectively. After that, you’re ready to get to the good stuff: why, where, and how to set up a schoolroom, how to store supplies efficiently, and how to keep the paper piles under control. This book encourages you to make organizational choices that work with your family’s style. I’ve tried many different methods and styles, but what works for me won’t necessarily work for you. Simple Organization for Homeschools will help you to organize one piece of the homeschooling puzzle at a time in a way that makes sense for you with the different tried-and-true choices I present. Where have I been? What have I been up to? Where am I going from here? Well, here are a few answers. The most exciting news of this past spring is that I finally finished my master's in English degree from East Carolina University! YAY!! It took three reeeaaaaallllyyyy lllllooooooooonnnngggg years, but it was worth it (at least, I hope it will be!). I already have a part-time job as an adjunct English professor at our local community college, which I love. However, I really need a full-time job now, so I'm busy looking for one. Where else am I headed? Well, I've decided to keep this blog as is for now and continue posting homeschool and organizational stuff as well as reviews here. I've started a new blog, too, to talk about the rest of what happened to me this past year. It's called Just Bethany: Reinventing Myself. Feel free to check it out. So, after a long, unexcused absence from my once-beloved blog, I'm thinking about reinventing it. Along with reinventing myself. I'm not sure the blog, or me, is working the way it was. Oh, I'm still into organizing and homeschooling, but I'm just not sure that's where my blogging emphasis should be anymore. I'm not exactly sure where I'm going to end up either. Q4U: Thoughts? Comments? Requests? Please??? 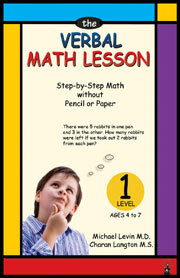 Verbal Math Lessons are an interactive, fun way to learn math without any writing. Say no to worksheets, but yes to games and mental shortcuts. Level 1 is for kids in grades K-1, while Level 2 is for kids who have mastered Level 1 and/or are in grades 1-2. Get your kids into the habit of working math in their heads, not on their fingers! The Reading Lesson includes the award-winning book with easy, step-by-step directions. Its simple style keeps the focus on the reading. The authors claim that it only takes 10 minutes a day and that kids will be reading from day 1, but I didn't have any non-readers to test it out on. Included in the set are the lesson book, the animated lesson CD, the storybook cd, the writing lesson cd (handwriting practice), the sounds of letters dvd, and Big Words for Little Kids, advanced vocabulary for readers in elementary grades. The adorable Giggle Bunny will draw kids along every step of the way! Ready to buy? Use code organizedmom00 for a 20% discount (good through 9/6/13). GIVEAWAYS: TWO winners! One will win both levels/books of The Verbal Math Lesson. One will win the complete Reading Lesson package. Just leave a comment below (on my blog, not Facebook or wherever) with your email address (so I can notify you) and which one you would like to win. Yes, you have to choose one. This is for readers in the continental US only. I'll choose 2 random winners on Monday, March 11. Disclaimer: These materials were sent to me free of charge by the publisher, but the opinions expressed are my own. Curious about how Old Testament prophecies have been fulfilled through the Messiah? 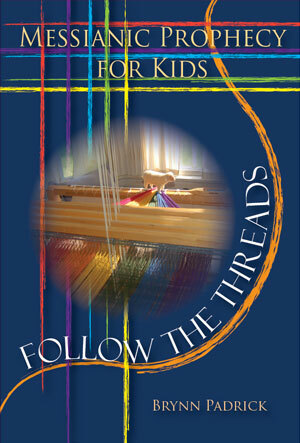 The pick up a copy of Messianic Prophecy for Kids: Follow the Threads by Brynn Padrick. For upper elementary grades (but adaptable to just about any age), it's engaging, fascinating, and includes different activities. Follow the Threads makes the complicated prophecies accessible for the younger ages. OK, who am I kidding? Some OT prophecies can be a bit confusing for those not so young, too, but Brynn does a good job of making everything as clear as possible. It's not just another workbook, either, it's got all sorts of fun activities to help youngsters remember what they learn. GIVEAWAY: I have one copy of this great resource to giveaway to one of my friends here in bloggy world. You must live in the continental U.S. and leave a comment including your email address in the comments below (not on Facebook or wherever). I'll choose a winner on Friday, March 8, and email her/him. Disclaimer: I received this book for free from the author in exchange for a review; however, the opinions expressed are my own. It's hard to belive that Helen Taylor's Little Pilgrim's Progress has been around for 60 years already! But it has, and it's been improved with the addition of an Adventure Guide, written by homeschooling mom Deanna Conrad. Written especially for those in grades 4-6, families with children in other age groups can still benefit from the guide. It's not just another fill-in-the-blanks workbook. 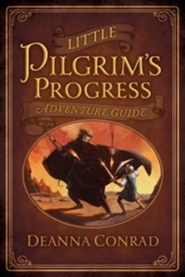 The Little Pilgrim's Progress Adventure Guide provides engaging vocabulary, thought-provoking questions, allegorical concepts, literature elements, biblical applications, and character analysis in various formats. From trusted publisher, Moody Press, you know you can trust the content! 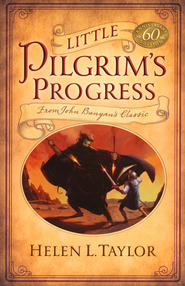 GIVEAWAY: I have not one, but TWO sets of Little Pilgrim's Progress, 60th Anniversary Edition, and Little Pilgrim's Progess Adventure Guide to give away! All you have to do is leave me a comment below (on my blog, not on Facebook or Google + or wherever you're reading my post). I'll choose a random winner on FRIDAY, March 8, 2013, and email the winner (so you must include your email address where I can find it). The giveaway is open only to those living in the continental U.S. only, sorry. Disclaimer: I received both the book and the guide free from Moody in hopes that I would provide a review. The opinions expressed are my own, though. The big white dress. The flowers. The church. The kids. The years. The breakup. Wait--what? What do you do when your (or your friend's) marriage disintegrates before your eyes? 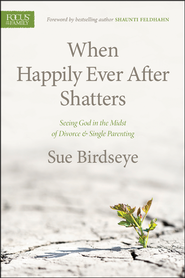 When you can stop crying long enough to read a chapter at a time, dig into Sue Birdsey's When Happily Ever After Shatters, published by Focus on the Family in conjunction with Tyndale Publishers. Sue has first-hand experience in not only dealing with abandonment, divorce, and single parenting, but thriving through it. Sue offers practical advice for those going through every step of this life-altering tragedy. She also offers advice for friends and families of those suffering. This book was so good that I read it straight through in two sittings. I highly recommend it for everyone because we all know someone going through divorce right now. Disclaimer: This book was provided to me free of charge from Tyndale Publishing in hopes that I would provide a review. The opinions expressed are my own. Happy Birthday to my sweet, sensitive Emmaleigh! Today, she turns 15 and is looking forward to driver's ed (me, not so much!). She loves to bake and to help people. I can’t believe that I have never written about one of my favorite organization tools. They’re little, but they’re so cute and so versatile. What are they: mini, sticky tabs and flags! A Post-it by any other name is just as sweet (no, this is not a commercial). It usually works just as well, too. Let’s take a look at several different categories in which we can use sticky flags: bookmarks, textbooks, homeschooling, home management, Bible, other stuff. The most obvious (to me) usage for Post-it flags is as bookmarks. Let’s get a bit more specific, though, then we’ll add to the list. Disclaimer: while I love these little guys like nobody’s business, I did a quick poll of some friends, who graciously added to my list. Q4U: What are your favorite uses for Post-it flags? This coming fall (gulp!! ), my older daughter heads away to a 4-year college. You'd think I'd be used to the idea because this is what we homeschoolers work towards for 12 years, right? Well, my heart is not ready for her to go away, but I've already started getting her stuff ready to leave the nest. This is a large, plastic, storage bin. I commandeered it to start collecting the myriad of odds and ends that she'll be taking with her. Just in case she had ideas of throwing other junk in there, I labeled it. I don't have the money to buy her all-new stuff in August, so it works better for me to buy things a little at a time. So far, the container has a lint roller and a spray bottle of the homemade cleaner we use. Other items I plan to add to the container: dishes and utensils (for 1), bed and bath linens, extra personal care items, Command hooks, laundry detergent, a small sewing kit (I can hope, right? ), a first-aid kit, and over-the-door hooks. I'm sure we'll think of other things, too, along the way. I found a really helpful, FREE college shopping checklist at Bed, Bath & Beyond. It's available on their website at bedbathandbeyond.com/shopforcollege. When August comes, all of her extra stuff (besides clothes and electronics) will be ready to go. Q4U: Have you sent a child off to college already? What am I missing? Copyright 2008-2012, Bethany S. LeBedz. Watermark theme. Powered by Blogger.